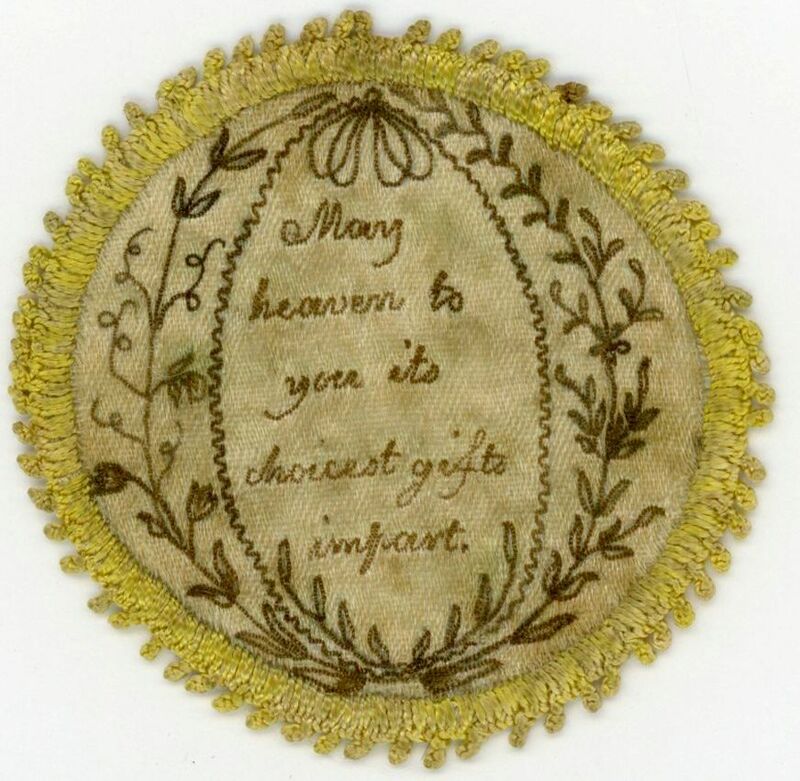 This miniature silk needlework was specially created as a love token to fit inside the covers of a gentleman’s pocket watch. Such tokens often included a brief aphorism or a symbolic image, such as two love birds, and were a delightful tradition of the early nineteenth century. This example has been finely embroidered with a garland of trailing flowers using brown silk thread on cream silk and has a central motto that reads “May heaven to you its choicest gifts impart”. It is edged with a yellow silk knotted border. An excellent and beautiful survivor that deserves to be well treasured! !